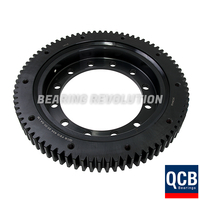 At Bearing Revolution we have a wide range of slewing rings in stock and ready for dispatch, we currently only show the series online but please call if you cannot find what you are looking for. 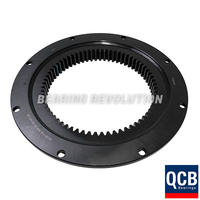 Slewing rings carry large axial, radial and moment loads within a compact dimension envelope and are used in a wide range of industrial machines. 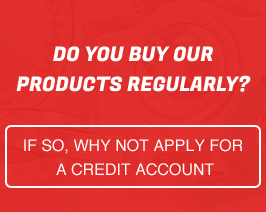 Their use offers an elegant solution to the problem of load carrying, stability and power transmission. 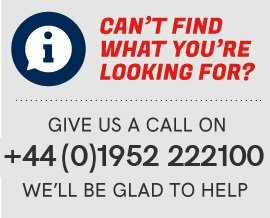 From this extensive range we are able to offer equivalents to other brands such as Torriani Gianni, La Leonessa, BRB Technologies, INA-FAG (Schaeffler), Roballo, Roth Erde, Rollix Defontaine, Avon, Taperex, Kaydon, Rossi MRI, RKS, SKF, Rima, IMO, Titanus, Silverthin, PSL, Drecon, Jost and BPW. 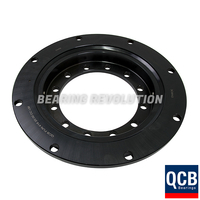 If you cannot identify which slewing ring you are looking for then please give Bearing Revolution a call and we’d be glad to guide you through.